A hovering monster created out of Erda with the Black Mage's new powers, emerging from the giant monster in the skies above Esfera, in the first area of Tenebris, Moonbridge. Found in the Last Horizon of Moonbridge, an area which requires 670 Arcane Power to deal full damage. Attacks by ramming its body into you. A slug-like monster created out of Erda with the Black Mage's new powers, emerging from the giant monster in the skies above Esfera, in the first area of Tenebris, Moonbridge. Found in the Mysterious Fog of Moonbridge, an area which requires 700 Arcane Power to deal full damage. 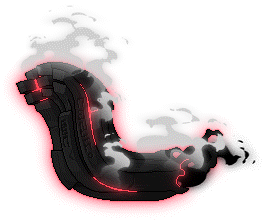 Attacks by breathing fire at you. 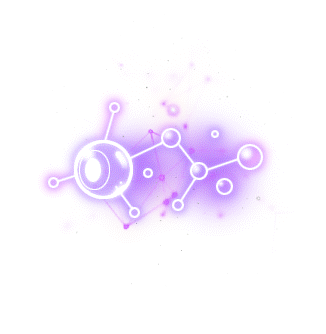 A core-like monster created out of Erda with the Black Mage's new powers, emerging from the giant monster in the skies above Esfera, in the first area of Tenebris, Moonbridge. Found in the Mysterious Fog of Moonbridge, an area which requires 700 Arcane Power to deal full damage. 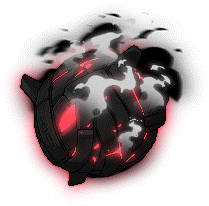 Attacks by casting an explosion in close range. A rock-like monster created out of Erda with the Black Mage's new powers, emerging from the giant monster in the skies above Esfera, in the first area of Tenebris, Moonbridge. 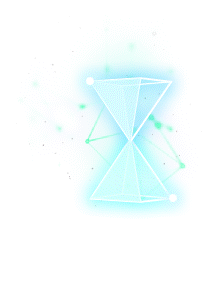 Found in the Void Current of Moonbridge, an area which requires 730 Arcane Power to deal full damage. Attacks by punching at you. 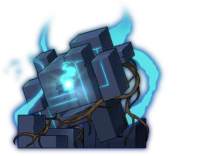 A rock-like monster created out of Erda with the Black Mage's new powers, emerging from the giant monster in the skies above Esfera, in the first area of Tenebris, Moonbridge. 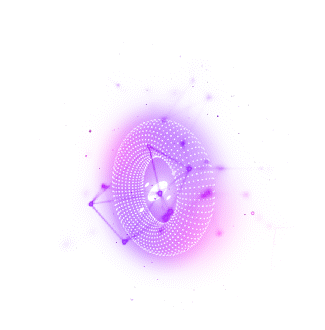 Found in the Void Current of Moonbridge, an area which requires 730 Arcane Power to deal full damage. Attacks by firing a strange energy at you. A quadrupedal, labyrinth themed monster created by Hilla in the Labyrinth of Suffering. Found in the Labyrinth of Suffering Interior, an area which requires 760 Arcane Power to deal full damage. Attacks by extending its labyrinth-shaped horns, which protrude out, into you. A fast-flying skeletal bird created by Hilla in the Labyrinth of Suffering. Found in the Labyrinth of Suffering Interior, an area which requires 760 Arcane Power to deal full damage. These will automatically follow you upon entering a map and deal 10% of your HP as touch damage, as well as lock your ability to use potions, so don't go AFK! Reappears 5 minutes after being defeated. A fast-flying skeletal bird created by Hilla in the Labyrinth of Suffering. Found in the Labyrinth of Suffering Core, an area which requires 790 Arcane Power to deal full damage. These will automatically follow you upon entering a map and deal 10% of your HP as touch damage, as well as lock your ability to use potions, so don't go AFK! Reappears 5 minutes after being defeated. A fast-flying skeletal bird created by Hilla in the Labyrinth of Suffering. Found in the Labyrinth of Suffering Deep Core, an area which requires 820 Arcane Power to deal full damage. These will automatically follow you upon entering a map and deal 10% of your HP as touch damage, as well as lock your ability to use potions, so don't go AFK! Reappears 5 minutes after being defeated. The final boss of Moonbridge. 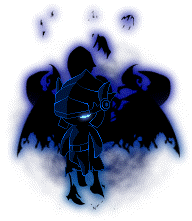 For more information on the boss battle, visit this page. (Image is shrunken down, click to view full size). A labyrinth themed golem created by Hilla in the Labyrinth of Suffering. Found in the Labyrinth of Suffering Interior, an area which requires 760 Arcane Power to deal full damage. Attacks by punching at you. A labyrinth themed golem created by Hilla in the Labyrinth of Suffering. Found in the Labyrinth of Suffering Interior, an area which requires 760 Arcane Power to deal full damage. Attacks by swinging its arm downwards toward you. A giant labyrinth themed golem created by Hilla in the Labyrinth of Suffering. 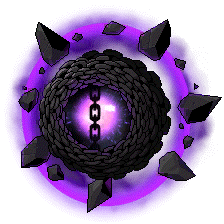 Spawns occasionally in the Labyrinth of Suffering Interior, an area which requires 760 Arcane Power to deal full damage. Attacks by creating stone columns that rise from the ground. 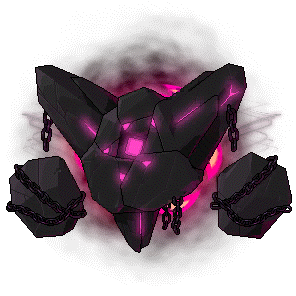 When defeated, it will respawn into two Broken Golems. 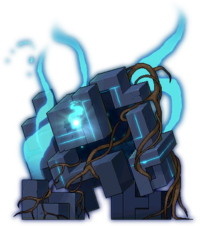 A labyrinth themed golem created by Hilla in the Labyrinth of Suffering, now broken into smaller golems. 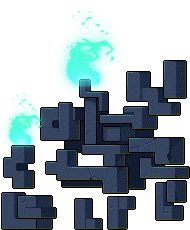 Attacks by creating small stone columns that rise from the ground. When defeated, each of these will respawn into five Fragmented Golems. A labyrinth themed golem created by Hilla in the Labyrinth of Suffering, now broken into tiny golems. 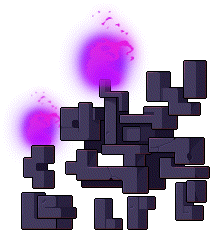 Attacks by creating small columns that rise from the ground. 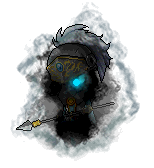 A fallen Nova soldier, corrupted by Hilla in the Labyrinth of Suffering (though it's heavily implied to be an illusion to break the player's morale). Found in the Labyrinth of Suffering Core, an area which requires 790 Arcane Power to deal full damage. 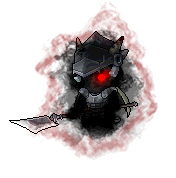 A fallen Cygnus soldier, corrupted by Hilla in the Labyrinth of Suffering (though it's heavily implied to be an illusion to break the player's morale). Found in the Labyrinth of Suffering Core, an area which requires 790 Arcane Power to deal full damage. 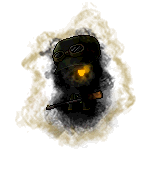 A fallen Resistance soldier, corrupted by Hilla in the Labyrinth of Suffering (though it's heavily implied to be an illusion to break the player's morale). Found in the Labyrinth of Suffering Core, an area which requires 790 Arcane Power to deal full damage. A dog-like creature that resembles Blackheart, conjured up by Hilla in the Labyrinth of Suffering. Found in the Labyrinth of Suffering Deep Core, an area which requires 820 Arcane Power to deal full damage. A strange, skeletal creature with candles on its head, conjured up by Hilla in the Labyrinth of Suffering. Found in the Labyrinth of Suffering Deep Core, an area which requires 820 Arcane Power to deal full damage. A strange, skeletal creature with candles on its head. Found in the Labyrinth of Suffering Deep Core, an area which requires 820 Arcane Power to deal full damage. 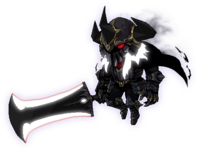 The ultimate form of Blackheart, one of Hilla's loyal summons. 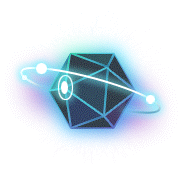 Found in specific maps in the Labyrinth of Suffering Core, an area which requires 790 Arcane Power to deal full damage, as well as the Deep Core, an area which requires 820 Arcane Power to deal full damage. An abstract creature born from the powers of creation, in the waterfalls of Limina. Found in the World's Sorrow area of Limina, which requires 850 Arcane Power to deal full damage. A fast-flying abstract creature born from the powers of creation, in the waterfalls of Limina. Found in the World's Sorrow area of Limina, which requires 850 Arcane Power to deal full damage. These will automatically follow you upon entering a map and deal 10% of your HP as touch damage, as well as lock your ability to use potions, so don't go AFK! Reappears 5 minutes after being defeated. A fast-flying abstract creature born from the powers of creation, in the waterfalls of Limina. Found in the End of the World area of Limina, which requires 880 Arcane Power to deal full damage. These will automatically follow you upon entering a map and deal 10% of your HP as touch damage, as well as lock your ability to use potions, so don't go AFK! Reappears 5 minutes after being defeated. An abstract creature born from the powers of creation, in the waterfalls of Limina. 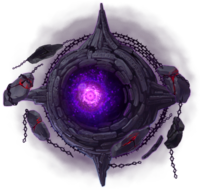 Found in the World's Sorrow area of Limina, which requires 850 Arcane Power to deal full damage, as well as the End of the World area, which requires 880 Arcane Power to deal full damage. An abstract creature born from the powers of creation, in the waterfalls of Limina. Found in the End of the World area of Limina, which requires 880 Arcane Power to deal full damage. 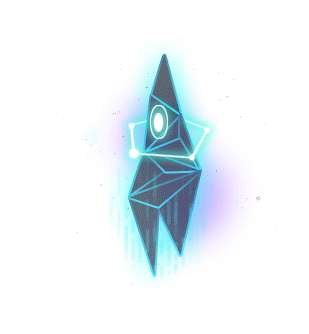 An abstract creature in the shape of a Torus, born from the powers of creation, in the waterfalls of Limina. Found in the End of the World area of Limina, which requires 880 Arcane Power to deal full damage. 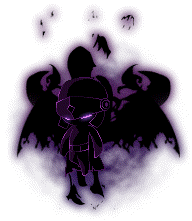 The first boss of Limina. 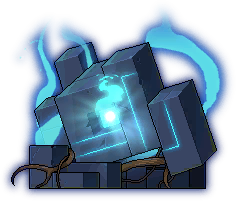 For more information on the boss battle, visit this page. This page was last edited on 31 January 2019, at 02:20.